Ossification of the posterior longitudinal ligament of the spine (OPLL) is characterized by ectopic bone formation in the spinal ligaments. Mechanical stress, which acts on the posterior ligaments, is thought to be an important factor in the progression of OPLL. To clarify this mechanism, we investigated the effects of in vitro cyclic stretch (120% peak to peak, at 0.5 Hz) on cultured spinal ligament cells derived from OPLL (OPLL cells) and non-OPLL (non-OPLL cells) patients. The mRNA expressions of Cbfa1 (an osteoblast-specific transcription factor), type I collagen, alkaline phosphatase (ALP), osteocalcin and integrin β1 (a mechanotransducer) were increased by cyclic stretch in OPLL cells, whereas no change was observed in non-OPLL cells. 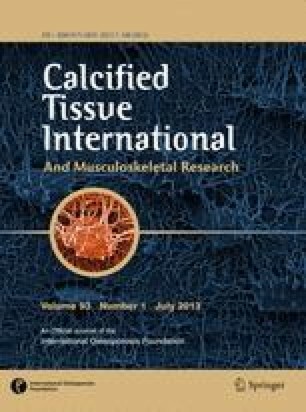 The effects of cyclic stretch on the spinal ligament tissues derived from OPLL and non-OPLL patients were also analyzed by immunohistochemistry using an antibody against Cbfa1. The expression of Cbfa1 was increased by cyclic stretch at the center of the spinal ligament tissues of OPLL patients, whereas no change was observed in the tissues of non-OPLL patients. Furthermore, U0126, a specific inhibitor of MAPK kinase (MEK), suppressed the stretch-induced mRNA expressions of Cbfa1, ALP and type I collagen in OPLL cells. These results suggest that in OPLL cells, mechanical stress is converted by integrin β1 into intracellular signaling and that Cbfa1 is activated through the MAP kinase pathway. Therefore, we propose that mechanical stress plays a key role in the progression of OPLL through an increase in Cbfa1 expression. We thank Drs. Kazuhiko Seya and Miki Hashimoto of the Department of Pharmacology, Hirosaki University School of Medicine and Drs. Hirotaka Ohishi and Tomohiro Iwasawa of the Department of Orthopaedic Surgery, for their technical assistance. We also acknowledge professors Hiroto Kimura, Keiichi Takagaki and Hideki Mizunuma, Hirosaki University School of Medicine, for their valuable suggestions.